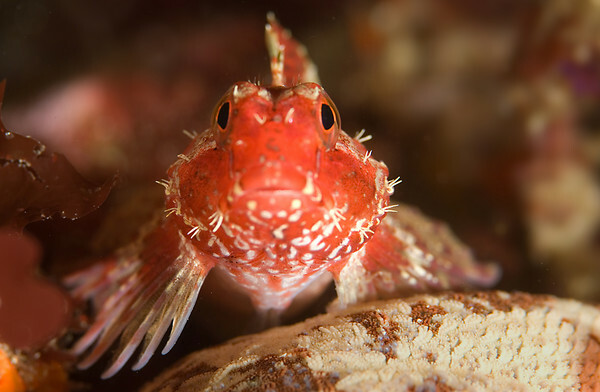 Welcome to the Underwater Photography Guide! Welcome to the Underwater Photography Guide. This online book and magazine is a complete underwater photography tutorial full of u/w photography tips and techniques. Our idea is simple - learn, shoot, explore. We hope you enjoy and come back often - Scott Gietler, Owner of UWPG and Bluewater Photo & Travel. First time cropped sensor dSLR users (Nikon D80, D90, D300, Canon 50D, 7d, etc) often ask the same question - which macro lens is better for underwater photography, the 60mm or 100mm/105mm? Canon choosers can choose the Canon 100mm. I don't recommend the sigma 105mm because of its slow auto-focus. Nikon users can choose the Nikon 105mm lens (old version or new VR version). Because I own the Nikon lenses, I will refer to the Nikon 105mm macro lens, but the analysis equally applies to Canon users. Even though I initially purchased both focal lengths, some people only have the budget for one lens. I want to discuss the differences between these focal lengths to help you make your choice. For nikon users, we will also discuss the difference between the "old versions" and the "new versions". I hear many myths regarding the difference between these lenses. Let's take a look at them. One lens is "better" than the other. Absolutely not true - using a 60mm vs a 105mm will give you a different type of photo with a different feel. Read how lens choice affects composition. Implying you should buy the lens that is "easiest to use". If you want to be a good photographer, you don't always want to take the easy route. The easiest route sometimes leads to photos that look like everyone else's. 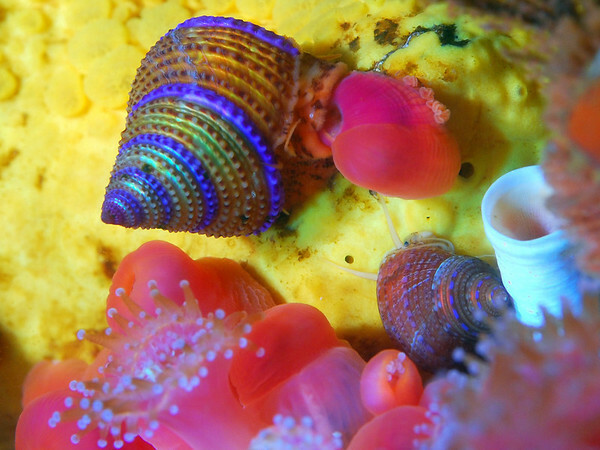 I know many people who begin dSLR underwater photography with a 60mm macro lens. This is the most common 1st choice for lens. 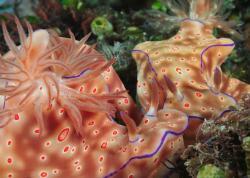 It's quite versitile, good for fish, nudibranchs, and macro subjects in general. 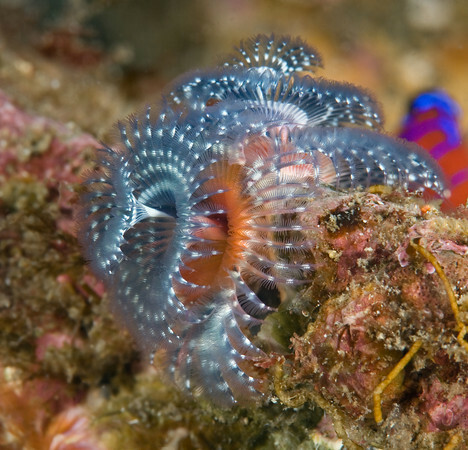 It's also good in lower vis, murkier water, and on night dives. I know many divers who mostly use the 60mm lens. Ideally used in a flat port designed for the 60mm lens, many people effectively use the lens in the port for the 100/105mm lens without problems. The 60mm lens has a small working distance, which means you will be fairly close to the port when shooting small subjects. Some experience divers I know only use the 105mm lens for macro. How can some divers only use the 60mm, and others only the 100 or 105? It comes down to shooting style. Everyone has subjects and composition styles they prefer. These divers are usually shooting the same subjects, but getting different compositions. The 100/105mm lens is always used in a custom flat port for this lens. The 100/105mm lens has a greater working distance than the 60mm lens, which means the subject will be a little further away from the port when shooting at small critters. Read my Nikon 105mm VR review for more info. 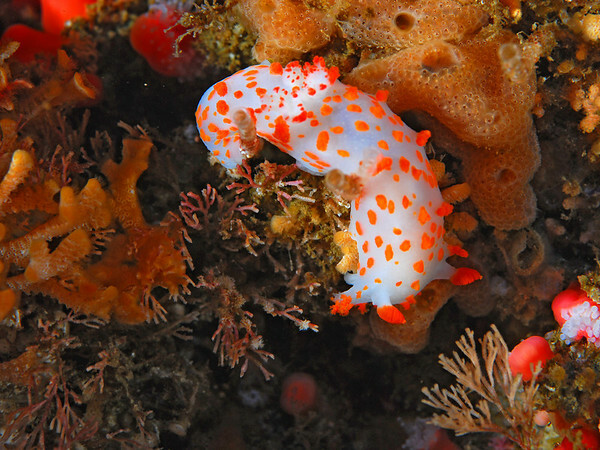 The 60mm macro lens is good for getting nudibranchs in their environment. You can also get pretty close to objects with it, if the subject is not blocked by reef and doesn't move. 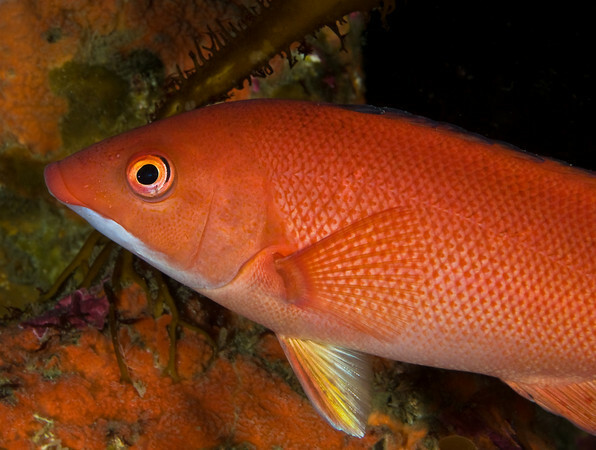 The 60mm can also take photos of larger fish. 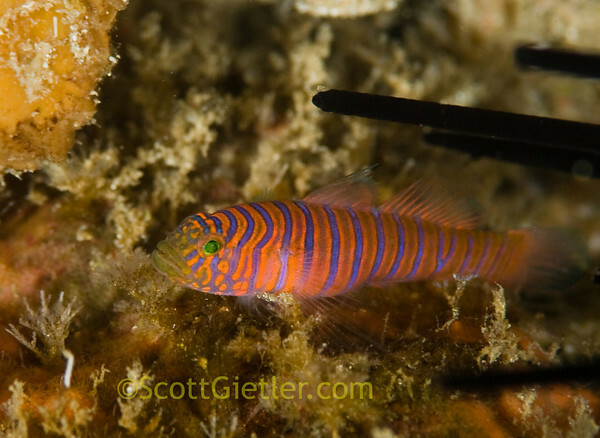 Better for skittish subjects such as small fish, gobies, mantis shrimp, that you may not be able to get close to. Longer focal length makes it easier to get pleasing blurred backgrounds. It also can be better for artistic shots where the view will be more compressed, giving the photo a more 2 dimensional look. Best in clearer water, in very dark or low-vis water it can be a little difficult to focus. Which version- Old Nikon 60mm or New Nikon 60mm? The new Nikon 60mm (AF-S) has slightly a faster auto-focus motor built in. However, both lenses are still F2.8 lenses, so both will have problems if there is not enough of contrast or light. I don't have any complaints about the auto-focus speed of my old 60mm lens, but faster is always better. The older 60mm has 1 inch more working distance, a big plus when shooting close to 1:1.
the older 60mm works with the tamron/kenko 1.4x teleconverter, a great tool for supermacro. Because of #2 and #3, I definitely will not be switching to the new 60mm. If you don't think you'll be using your 60mm for 1:1 macro shots or supermacro, you might be better off with the faster auto-focus of the new 60mm. Which version - Old Nikon 105mm or New Nikon 105mm VR? The vibration reduction will be most useful in reducing camera shake. It cannot reduce motion blur. It is also most effective at longer distances. Because of this, the VR is most useful in topside photography. The autofocus on the new version is better. If you can afford it, get the new one, but don't hesitate to get the old one if that is the only one in your budget. The new 105mm VR is a fatter lens, make sure your port choice supports the lens you choose. Double check with your housing manufacturer or uw camera shop. Some people like to use a focus ring with this lens, make sure your port choice supports a focus ring. Hands down, you want a 100/105mm focal length, not a 60mm lens. A 60mm lens does not have the working distance needed for insects, flowers, and other macro subjects. Some macro photographers even use longer lengths like a 150mm or 200mm focal length, but those lenses are more expensive for the same quality. Ideally you would have both of these lenses in your underwater lens bag. If you can only afford 1 lens, and are still undecided, I suggest you read through the many pages of the composition chapter. There you will find many examples of shots with both lenses, maybe you will be drawn to one or the other. Visit Bluewater Photo & Video for all your underwater photography and video gear. Click, or call the team at (310) 633-5052 for expert advice! Bluewater Travel is your full-service scuba travel agency. Let our expert advisers plan and book your next dive vacation. Run by divers, for divers. Tips, tutorials, news, reviews, upcoming workshops, and more! Olympus OM-D E-M1X Camera Announced! Are You Playing to Win or Playing Not to Lose? 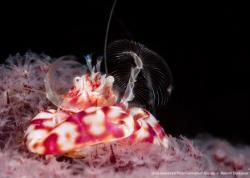 Bali: A Diving Safari To "The Other Side"
Palau Workshop Report - Epic Diving! Is a liveboard right for you? Story Behind the Shot: "Manta Madness"
Incredible Photo Sequence "Eyes Bigger than the Stomach"
Story Behind the Shot "Angry Sepiola"
Story Behind the Shot "Attention Seeker"
Story Behind the Shot "Glaucus Atlanticus"
Story Behind the Shot "Kirra Underwater"
Story Behind the Shot "Lionfish Stares at its Lunch"
Story Behind the Shot "Underwater Circus"
Story Behind the Shot: "Shout"
IG Contest: Win a Trip on the Solomons PNG Master! Ocean Art 2018 Winners Announced! Nikon entered the mirrorless market with their new Z-series, featuring a full-frame sensor, some great specs and a bold lens mount redesign. How will Fujifilm's highest resolution APS-C camera, the X-T3, perform underwater?